Transafrica was launched in 1983 with the main aim of providing focused group funeral solutions. Transafrica has become a Group Insurance Specialist offering a wide selection of tailor-made insurance benefits. Teletech is our call center operation and offers dynamic solutions for oursourced communication needs. Transafrica provides back office admin services & support, product & benefit design, implementation of scheme processes, and more. 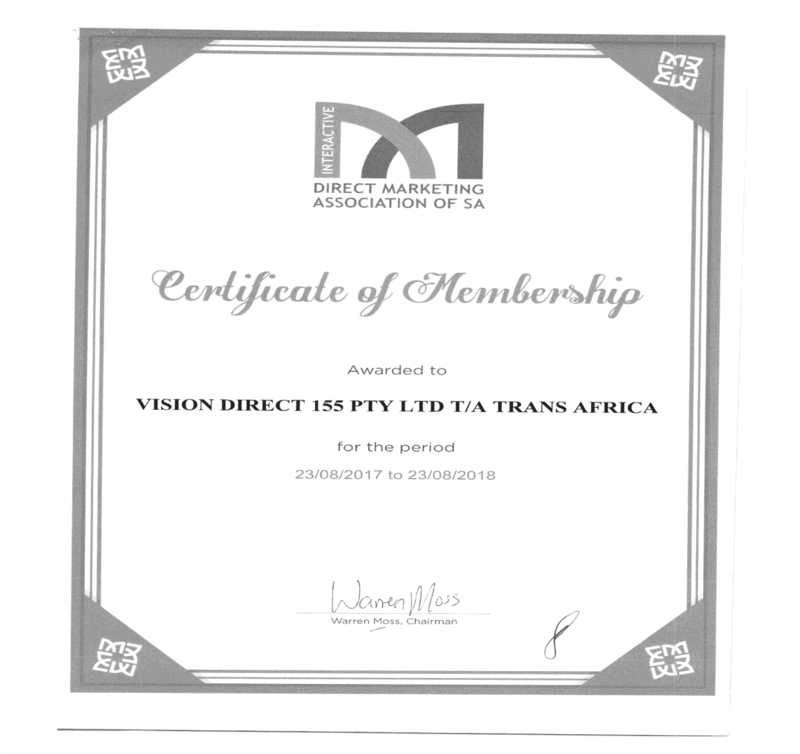 Transafrica Group is a member in good standing with the DMASA, We have committed to the DMASA Code of Practise. The Code is a comprehensive framework governing members conduct and is designed to ensure best practise and consumer protection. The DMASA is a highly proactive leader in this vital, flourishing industry that contributes substantially to South Africa's economy. As such, the DMASA adhere to a strong Code of Practice which is fully compliant with all existing laws pertaining to the industry and its practitioners. They also ensure the protection of consumers through a Hotline, where complaints against DMASA members are resolved timeously. Further protection is offered through the Do Not Contact facility held by the Association.